4 days from £1600pp plus international flights. 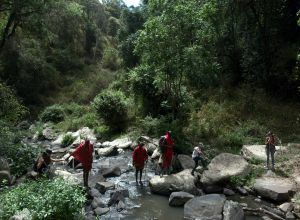 Escape into the African bush, exploring ancient Maasai trails on foot with Maasai guides. This is exciting! This 4 day walking trail will give you a unique insight into the ways of the Maasai, combined with exploration of a stunning part of Kenya - the Loita Hills near the Maasai Mara. The walks, which average about 6 hours a day (3 hours before lunch, then 3 hours in the afternoon) can take you through different eco-systems in a matter of hours. The scenery will often take your breath away. Each day will begin with a hearty breakfast before the donkeys are loaded and they head on with their handlers to set up the next camp. You set off with your guides who are local Maasai from the Loita area. Along the way they will share with you their customs, culture and beliefs as you navigate these ancient trails through the landscape. The Maasai guides will teach you bush lore and pass on some of their wealth of knowledge. Each evening, a cool drink awaits you as you get to camp in time for a sundowner. The donkeys are fed, watered and a kraal is made to keep them safe for the night, before everyone sits down for dinner. 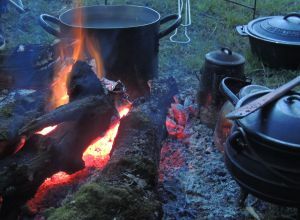 Dinner is usually followed by convivial chat around the fire before retiring for a good night's sleep. The walks are not strenuous but we do recommend that you are moderately fit. You only need carry your day pack with water and snacks, any luggage will be porter-ed by the donkeys and be waiting for you in camp. 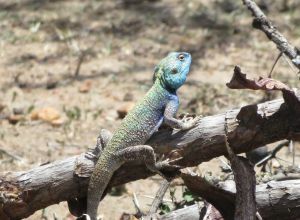 It's a rewarding trip and a very different experience from a conventional safari. We can also arrange longer trips if you wish. This fantastic walking adventure in the Kenyan wilderness begins with a scheduled flight or a scenic drive from Nairobi. You will be going south towards the Kenya/Tanzania border. Lunch will be a picnic affair. Your Maasai team will be waiting to meet you and you'll make your way to the first camp, River Camp. The camp is all set up for you and a cool drink and hot shower will be waiting. Sundowners are definitely on the menu, followed by a hearty meal. Swap stories around the camp fire and get to know each other before having a good night's sleep in preparation for your walking adventure which begins in earnest tomorrow. Lunch, dinner. This morning you'll have a gentle start with a hearty breakfast. Afterwards supplies will be packed on the donkeys and they will leave to set up the next camp ahead of your arrival. Then your walking adventure really begins. Leaving River Camp at 10 am, your destination is the highest point in Loita, Oltyiani. It's a steady walk of 5 - 6 hours in total with some beautiful scenery to be admired along the way. There will be a lunch break of about an hour at the halfway point, and once you've had a rest the journey will continue. You should arrive in camp between 4 and 5 pm, in time to watch the sun set over the magnificent Rift Valley. Breakfast, lunch, dinner. A hearty breakfast will set you up for the day. You'll be ready to set off at 9 am to make your way to Ossasinai Camp. The trail leads back down to the Forest of the Lost Child as you traverse through some beautiful and unique landscape. The pace today is gentle giving you time to soak up the scenery. Walking time is similar to yesterday, about 5-6 hours with a lunch break in between. 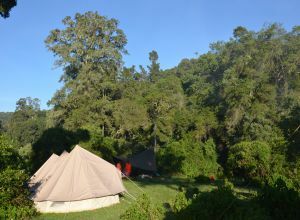 Camp will be set up when you arrive, a cold drink will be waiting for you in this valley setting surrounded by trees. Put your feet up and admire the view. Breakfast, lunch, dinner. This morning you will say goodbye to your Maasai guides who have been with you on this amazing journey. You will be collected in a 4 x 4 vehicle and taken down the Loita Hills. The scenery is once again, spectacular. You will be dropped at the airstrip for your scheduled flight out or at your next destination. Breakfast. Price notes: 2018 guide price per person sharing (up to 15 December), from: £1600 pp with 2 people sharing, but with 4 or more people the price is £1200 pp. Accommodation on a twin share basis; meals as specified, drinks including water, house wines and spirits; activiteis including guided walks and cultural visits to Maasai enkangs; road transfers from Karen Crossroads Nairobi or Speke's and Siana Springs camps. International flights; departure taxes; flights from and to Nairobi; visas; travel insurance; park fees; items of a personal nature; tips. This holiday starts and ends in Nairobi and transfer to camp and back is via vehicle. It is possible to fly-in for an additional cost. International flights from the UK start from around £695, depending on season and availability. Simple yet comfortable camping, along the ancient walking trails of the Loita forest.